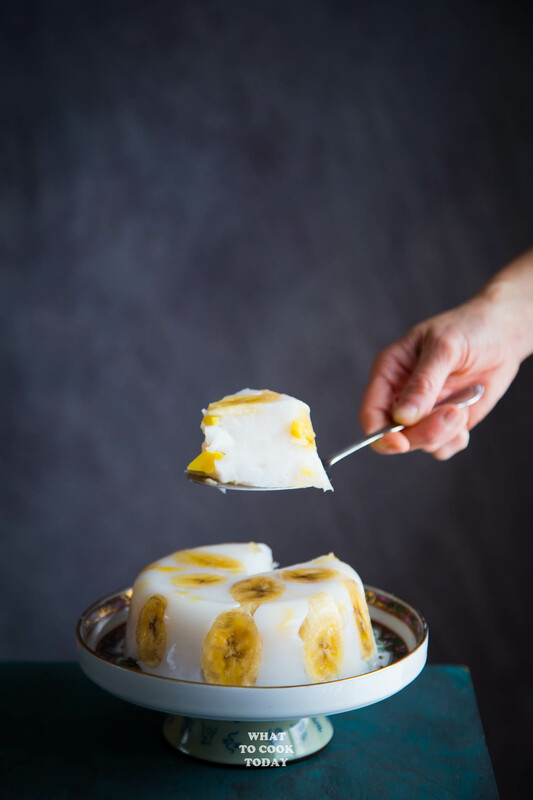 Hun Kwe Pisang Nangka (Mung Bean Flour Banana Jackfruit Cake) – Learn how to make soft and bouncy mung bean flour cake studded with sliced bananas and sweet jackfruit pieces wrapped in banana leaves (or not). Hunkwe pisang nangka is one of my favorite childhood snacks. Mom made them so often that hun kwe pisang nangka is one of the snacks I look forward to for an after-school snack. 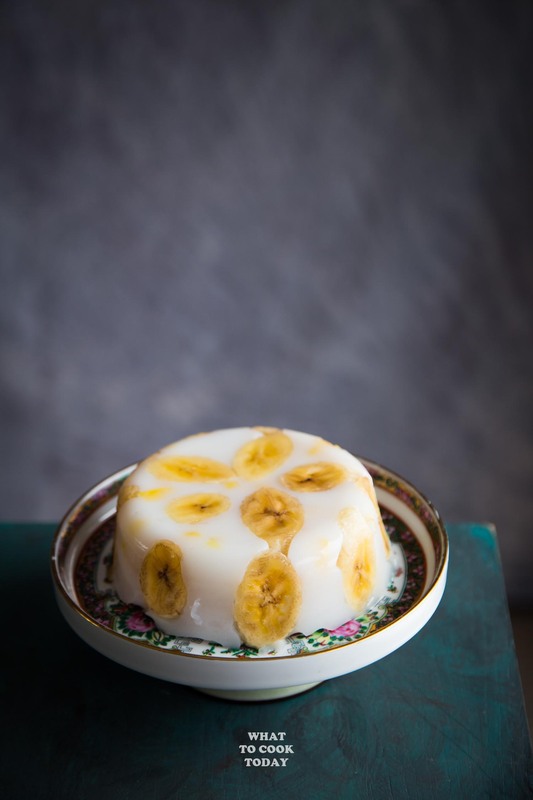 It is very similar to kue nagasari in terms of presentation. 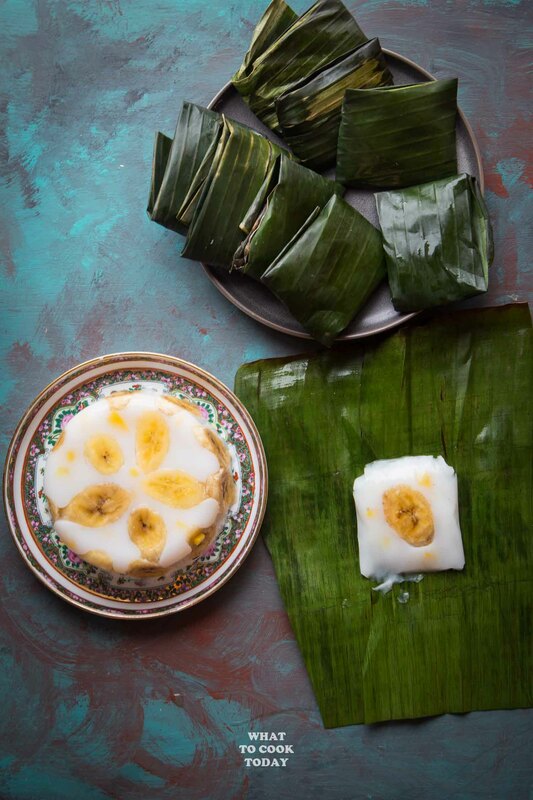 Hunkwe pisang is made with mung bean flour (hunkwe flour) and nagasari is made with rice and tapioca flour. 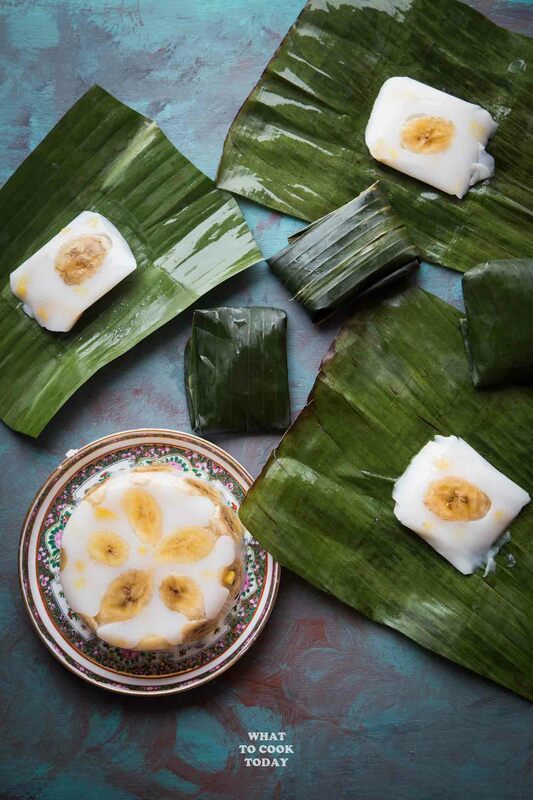 Hunkwe pisang is cooked, wrapped and then chilled while nagasari is half-cooked, wrapped and then steamed. 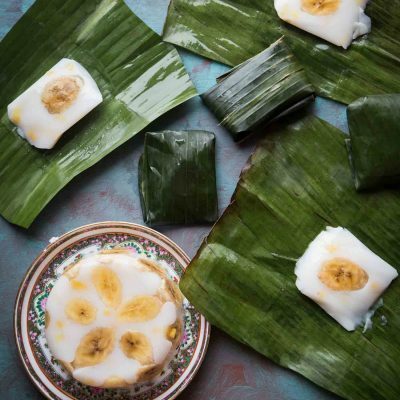 If you don’t feel like individually wrapping each of the hunkwe pisang nangka or can’t find banana leaves where you are, you can just pour the batter into a container and chill them in the refrigerator. 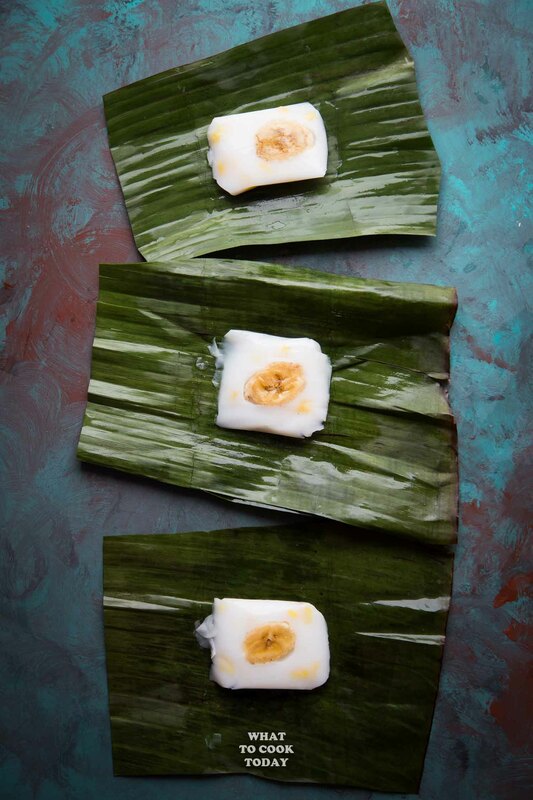 Taste-wise they are the same, just without the extra aroma from banana leaves. I used this brand of hun kwe flour to make this hun kwe pisang nangka. 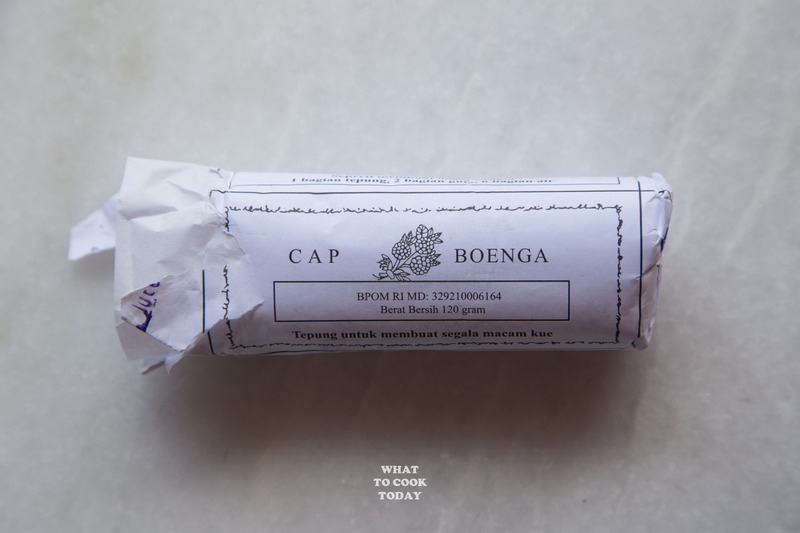 You can substitute with mung bean flour because hun kwe flour is basically made of mung bean flour. 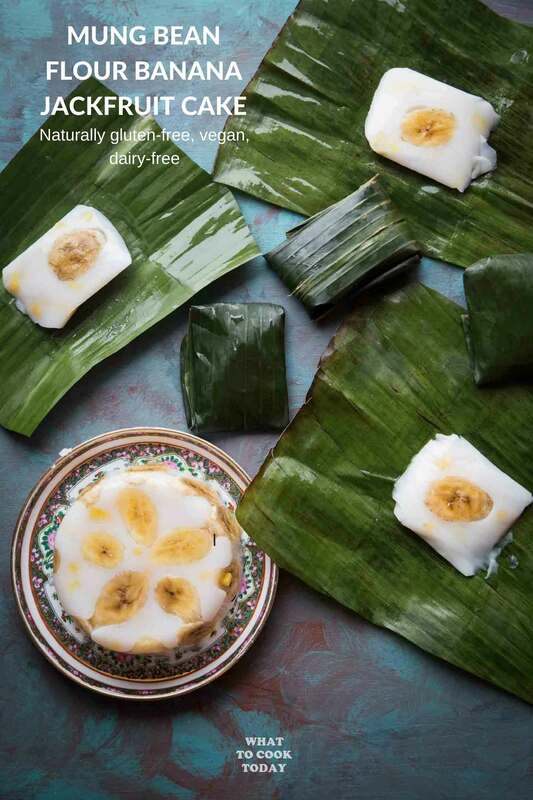 WHAT KIND OF JACKFRUIT IS USED IN THIS HUN KWE PISANG NANGKA RECIPE? There are green jackfruit and yellow sweet jackfruit (usually packed in syrup). The green jackfruit is used in cooking and savory dish. This recipe calls for the sweet jackfruit packs in syrup. 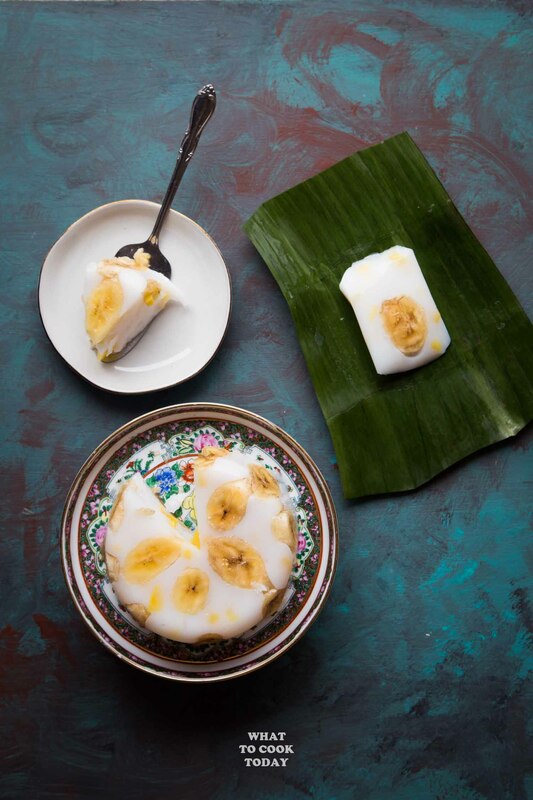 This recipe will give you hun kwe pisang nangka that is soft but still bouncy. My kids love to unwrap and eat them! 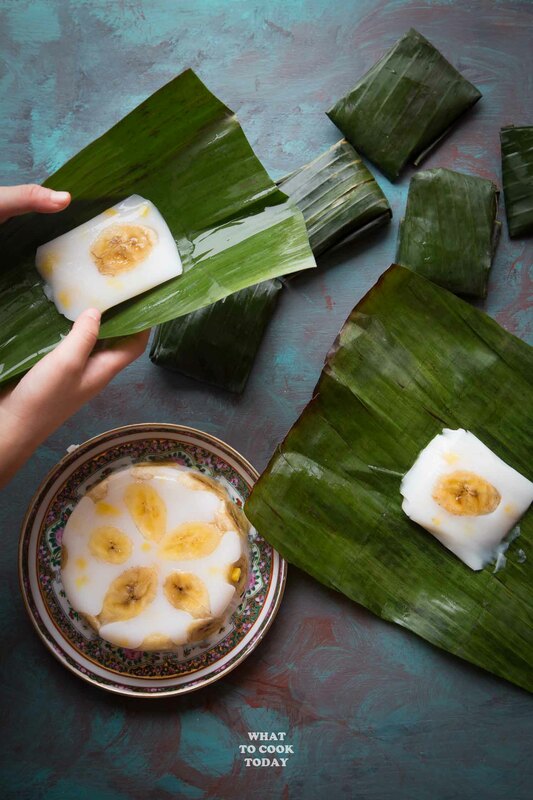 Learn how to make soft and bouncy mung bean flour cake studded with sliced bananas and sweet jackfruit pieces wrapped in banana leaves (or not). Marvelous photos, marvelous idea ! Thank you so much ! Very, very nice photos! This is one of my favourite childhood snacks. Will give this a try. Yes, no wrapping is definitely less work ha..ha..! !